In the last post of the EthnographyMatters Ethnomining edition (edited by Nicolas Nova), David Ayman Shamma @ayman gives a personal perspective on mixed methods. Based on the example of data produced by people of Egypt who stood up against then Egyptian president and his party in 2011, he advocates for a comprehensive approach for data analysis beyond the “Big Data vs the World” situation we seem to have reached. In doing so, his perspective complements the previous posts by showing the richness of ethnographic data in order to deepen quantitative findings. “Discovering how communities organize, grow, and communicate under times of distress is difficult even when technology hasn’t been cut. While many things surfaced on Twitter during the revolution, like the Hardees in Tahrir being used as a safe house, many questions were left unexplained or assumed to be the work of online social networking. 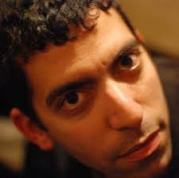 David Ayman Shamma is a research scientist in the Internet Experiences group at Yahoo! Research for which he designs and evaluates systems for multimedia-mediated communication.